Cyclepedia Press LLC is happy to announce the release of a new online service manual for the Kawasaki KLX140 and KLX140L off-road motorcycles. This manual is instantly available online and features color photos, service specifications, torque specs, wiring diagrams, service schedules, step-by-step procedures and technical support. All new Cyclepedia.com manuals are automatically available to Cyclepedia PRO subscribers. If you own or need to service a Kawasaki KLX140 or KLX140L signup for a one year or lifetime subscription now to get clear, accurate, and complete service information for your dirt bike. Sign Up Now! or check out the Information Page for more details. 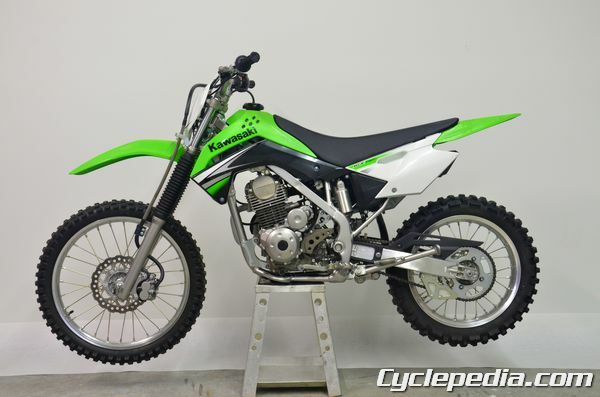 The Kawasaki KLX 140 motorcycles are fun dirt bikes with a solid build that will last for years if well cared for. 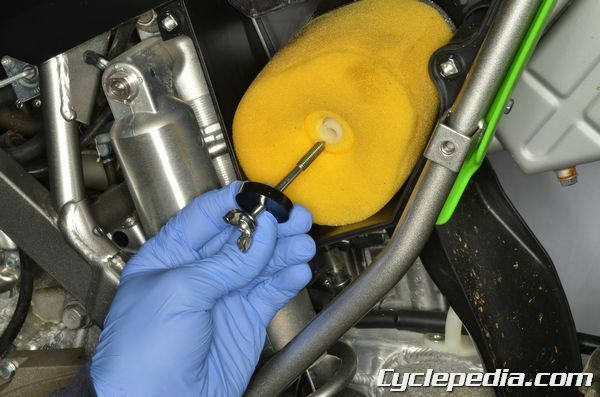 Keep yours running strong by following the periodic maintenance chart in the Cyclepedia.com online manual. If you need to do routine service or a major repair, the Cyclepedia.com Online Service Manual for the Kawasaki KLX 140 has you covered. Tech support is included with a subscription membership if you have any questions about using the manual or working on your KLX140.